“To tradeshow or not to tradeshow” is a topic that most companies debate annually. As a new business development forum, tradeshows put your firm in direct contact with key industry influencers and prospects, allowing you to display your products and services to hundreds of potential customers in one location over a short period of time. On the downside, tradeshows can be expensive to attend. Beyond the exhibition fee, there is the cost of the exhibit, marketing collateral, transportation for material and personnel, lodging and meals, and more. Yet, that one big sale – or exposure in that major trade publication you have always coveted – can erase any second thoughts about whether these costs were a worthwhile investment. Know your audiences and the best methods for reaching them. Make your corporate presence known. Drive traffic to your booth. Convert prospects to clients at the show and afterward. Before the show, it is all about preparation. At the show, logistics comes into play, as well as readiness to convert high-value prospects into new customers. It also is about relationships, creating new ones and reenergizing existing ones. Afterward, follow-up is vital to cement the media and business contacts made. Tradeshow selection is more than just attending the same shows based on what you have always done in the past or what your competitors are currently doing. Exhibitors must do far more than just show up with some inexpensive giveaway items as a gimmick to channel tradeshow attendee flow. It means not assuming that your sales force understands the messaging to be used or how it should be delivered. Further, simply hoping that a specific journalist or analyst will drop by your booth is not a strategy for success; neither is waiting for the phone to ring when you return to the office. To ensure your tradeshow attendance achieves the return on investment sought, engage your public relations team early in the process. Their innovative thinking and specialized tools can create buzz about your company before, during and after tradeshows. 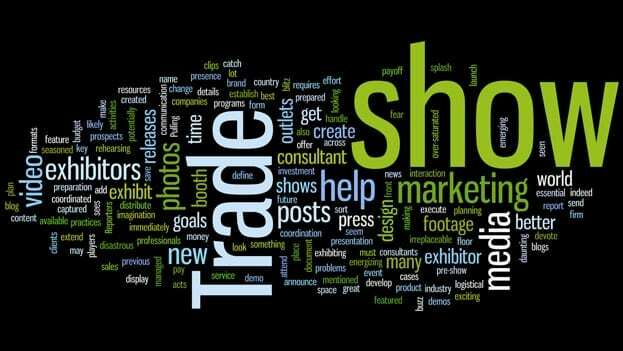 PR professionals understand all the nuances involved with a tradeshow, the leverage points that can be exploited and the techniques that can position your firm as the industry leader it most certainly is. Consider taking advantage of speaking opportunities, and remember that well-timed and well-conceived social media messages can work wonders, particularly when used in concert with other public relations tools. Speaking from experience, a well-formulated PR strategy for each tradeshow appearance is the single biggest factor contributing to your tradeshow success. If you would like to learn more about how PR professionals can change your tradeshow experience, contact DPR Group.